A slow news day and just thought I’d share this picture of the lovely and talented Felicity Jones (Rogue One, A Monster Calls, Amazing Spider-Man 2) looking spicy while inspecting some film. You’re welcome. 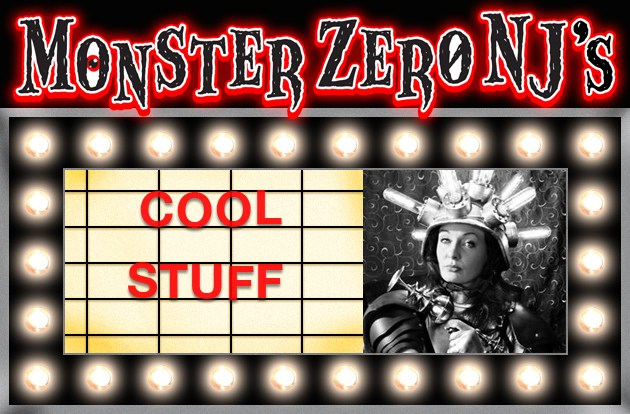 MONSTERZERO NJ’S SUMMER 2014 MOVIE FAVORITES AND FLOPS! I didn’t get to see every Summer release. 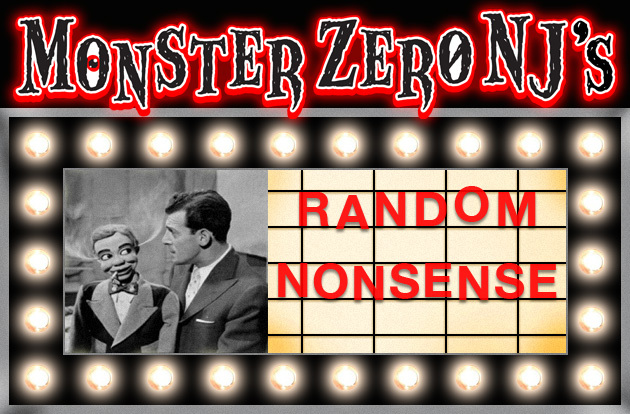 Some, like the latest Transformers And Teenage Mutant Ninja Turtles, are not flicks that interest me so, they will be curiosity rentals at some point. But here is a rundown of what I did see and thus what were favorites, surprises and, in turn, the disappointments for the Summer of 2014. Click on the poster for the full review! TASM2 may have it’s flaws but, it was a great looking and well designed movie and the digital Blu-Ray image is gorgeous and even crisper on your HD TV then blown up on a movie screen. The colors are rich and the complex action and FX really look great and hold up under the scrutiny of being up close in your living room. The sound is great and the film may, overall, actually play better at home where it’s somewhat convoluted story can be absorbed better with the more intimate setting. The deciding factor when considering picking up a somewhat flawed film are the extras… and this disc has a generous amount of them to sway us. First off we get about a dozen deleted scenes. Not all of them are gems, we can see why some did not make the cut but, we do get to see more of the Green Goblin, a few more scenes with Felicity Jone’s character of Felicia Hardy and a scene between Peter and his father which was interesting though I understand the decision to not go that route. The real draw for me is over 100 minutes of production footage and interviews and as an amateur/wannabe filmmaker myself, I can eat this stuff up and it was cool to see how this complex production came together. There is also the traditional director’s commentary and even a music video from Alicia Keys for “It’s On Again” from the movie. So, whether you want to pick this up depends on how much you liked the flick. The film plays a bit better at home, looks and sounds great and has a generous amount of extras to add to it’s appeal. As a movie geek, who loves this kind of stuff, I found myself being a bit more forgiving of it’s flaws the second time around and really enjoyed the in-depth look at how the film’s production came together. Unless the movie completely failed to interest you, or, you consider it to be a far greater disappointment then I did (see review) then I’d say it’s worth having, especially as most retail outlets have it on sale for it’s release, as well. While I can safely say The Amazing Spider-Man 2 avoids some of the epic badness of Raimi’s bloated Spider-Man 3… which also has some good stuff too, it wasn’t a complete disaster… it certainly is a disappointing and schizophrenic film to say the least. Sequel’s biggest problem is that the story is all over the place and so is it’s tone. It’s Dark Knight serious one minute and Batman Forever campy the next and trying to have it both ways. The scatterbrained story is hard to paraphrase but, it has Peter Parker/Spider-Man (Andrew Garfield) trying to deal with his feelings for Gwen (Emma Stone) while also trying to deal with the guilt from the death of her father (Denis Leary) and the promise he made to him before he died to stay away from her. When he is not getting all emo over that, he is still pining for the truth about his mother and father (Embeth Davidtz and Campbell Scott) and their disappearance. In the middle of all this moping we have the arrival of a new villain named Electro (Jamie Foxx) who is a nerdish Oscorp power expert and Spider-Man groupie whose fall into the wrong vat (it’s always a vat of something!) turns him into a Spider-Man hating live wire… very similar to Batman Forever’s Riddler storyline, hence my reference. And if that’s not enough, Peter’s old friend Harry Osborn (Dane DeHaan) returns home from abroad to take over Oscorp when his father passes away. But, Harry has inherited more then the company from dear old dad, as he also has his degenerative disease… and his research indicates only Spider-Man’s blood can save him… still with me? 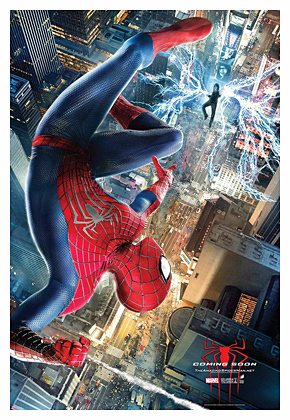 Needless to say, Peter/Spider-Man is up to his webs in bad guys and emotional turmoil as he tries to figure out his relationship issues, parental issues and Electro and Green Goblin issues as Harry’s efforts to save himself have a disturbing effect… at least he didn’t fall in a vat…oh, and did I mention The Rhino (Paul Giamatti)? Despite some very top notch effects and some impressive, though frantic action, scenes Amazing Spider-Man 2 has far too much story to tell for it’s own good and very little of it comes to a satisfying conclusion. It can be slow moving at times and there are long stretches where not much is really accomplished, though there is a lot to get done considering all the conflicts the script, by Roberto Orci, Jeff Pinker and Alex Kurtzman, sets up. Director Marc Webb also seems a little uncertain as to the tone he wants for his complicated film and seems to wing-it scene by scene. Sometimes he wants the film to have a serious dramatic impact but, sometimes he wants to have what he interprets as comic book style fun and the constantly changing tone between campy and dire is disorientating and creates a distance from the proceedings. I never felt really involved in the story which had a lot for me to get involved in, if any of it really had the focus and strength it should have. Sometimes we get some very serious sequences such as the before mentioned emotional torment Peter is suffering and then we get some very campy and goofy scenes such as Jaime Foxx’s dorky Max Dillon before he becomes a human Die Hard battery. And that is a big shame because Electro could have been a real imposing villain if his set-up wasn’t so silly and cliche’. 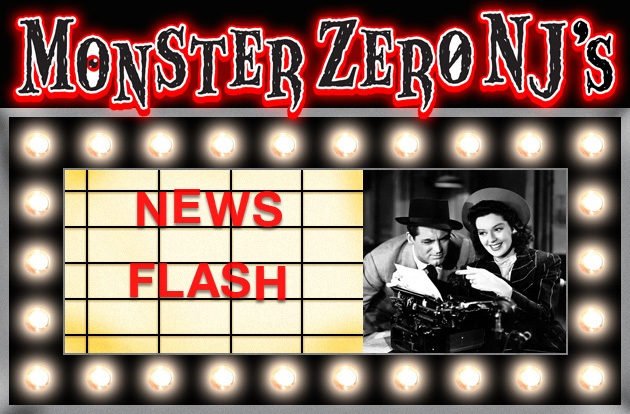 His powers are portrayed with some real effectiveness and he has a tremendous battle with Spidey in Times Square… one of the film’s best scenes… but, then he all but disappears till the script needs him again to join forces with the desperate Harry. At least TASM2 avoids SM3‘s mistake and let’s Spidey have it out with Electro before a certain goon on a glider makes his appearance. And as for Harry, we have no grasp of Peter’s relationship with him, as this is the first time in this new series he is seen or mentioned. So it has no resonance. At least Raimi always had Harry present and it took two films before he became a villain. Here we don’t even get to know Harry well enough for his transformation into the Green Goblin to have the weight it needs. And once the credits roll, we feel like we’ve sat through a middle film in an undesignated trilogy as there seems to be no solid beginning or end to the story. It seems like an episode in a larger story arch that is ongoing, so, we leave the theater feeling like we’ve seen an incomplete film. It sort of just ends with only a few story elements resolved. That’s OK in comics because they are monthly, here we have to wait another two years to see if this is going anywhere. The cast are all good, though no one really gets the screen time their character deserves except for Garfield. And he is a good Peter/Spidey though, those who felt Tobey Maguire’s Spidey was a bit too weepy, be warned, Garfield catches up a bit here. Jaime Foxx is very effective as Electro in what he is given to do though, I thought his Max Dillon was a bit too goofy and campy considering how serious we are supposed to take him when he turns spider-hating electrode. DeHaan is a bit flat as Harry in the earlier scenes but, seemed to respond better to the villainous turn and he makes a pretty effective Green Goblin, though again, isn’t utilized enough to make a real impact. Emma Stone is once again charming, perky and feisty as Gwen Stacy but, her character also disappears for stretches and sometimes her place in the story seems more to frustrate Peter then anything else. She and Garfield again have a nice chemistry but Gwen is another character that needed more important things to do then just emotionally confuse our hero. The character and actress deserve better. Sally Field is once again a solid Aunt May and she and Garfield also have a nice chemistry in the few scenes they have together. Supporting players Colm Feore, Felicity Jones and Paul Giamatti are fine enough in small roles that hint at having more importance in a future installment. Again, the film focuses on things to come and neglects what’s going on now. So, in conclusion, the second Spidey flick in this new series is somewhat of a disappointment and attempted far too much for it’s own good and then can’t make up it’s mind on exactly what tone to present that convoluted story in. There are long stretches where not much really happens, though it never got boring or tedious but, could have used it’s 142 minute running time more wisely. There were some spectacular FX and action scenes and there are elements set-up and some left unresolved that could make a solidly thrilling third flick if, they tighten the script and Webb settles on a tone and sticks with it. It’s not a train wreck, just a bit of an overloaded one that can’t decide what track it’s on sometimes. “FINAL” AMAZING SPIDER-MAN 2 TRAILER SWINGS INTO ACTION! I’ve lost count at how many Amazing Spider-Man 2 trailers have hit in recent months but, this one claims to be the last till this blockbuster sequel opens on 5/2/14! 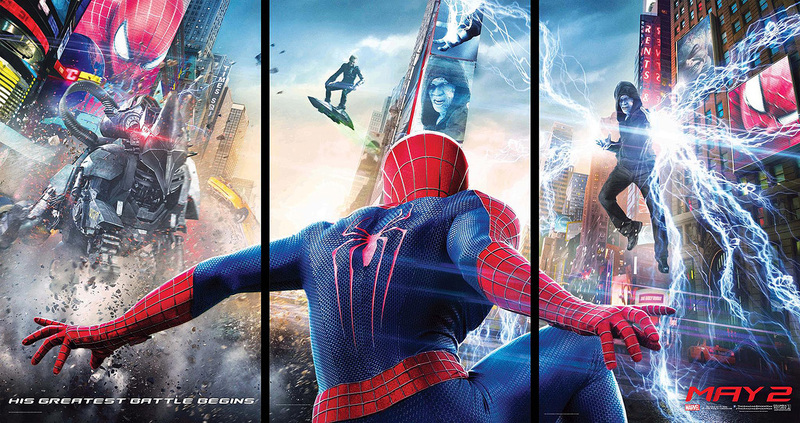 YET ANOTHER ‘AMAZING SPIDER-MAN 2’ TRAILER BRINGS THE ACTION!